It all started with attempting to control our security system with our phones… Initially we thought we should avoid keypad and tablet solutions. The reasoning was ‘We can save money if we use just our phones’, and I believed we should be able to leverage the ‘coolness’ of presence capabilities available in today’s phones and home automation systems to meet our needs. After months of fumbling around for our phones, dropped packages, failed and forgotten arming/disarming, and false alarms, the ‘coolness’ lost its luster. Our needs are simple: Provide a reliable method of activating and deactivating our security system, keep false alarms to a minimum, and reduce required interactions (to ‘zero’ if possible). Our previous ‘adventure’ demonstrated the limitations of current presence systems (overly large geo fences, limited-distance dongles, reliability) to meet those needs, thus I started look for more reliable and cooperative (i.e. work with presence capabilities) solutions. Initial research suggested a keypad (or potentially a tablet) could be a solution. With the initial research and requirements in hand, I dove into finding what was available. While scouring the internet several potential solutions were found. There are complete solutions (costing significantly more than we budgeted) and ‘piecemeal’ options: keypads, cameras, tablets, improved sensors and software, all requiring a fair amount of effort or additional cost to implement. The list is long, but our requirements quickly shaved the list down to keypads and tablets. After a failed attempt to implement a keypad with Lock Manager (it didn’t meet requirements 3, 5 and 6), we moved on. Shortly after we found an inexpensive tablet combined with kiosk software might meet our requirements. During my research it became obvious there is also no one place to go to find the majority of links, a list of the software and hardware considerations, or basic configurations needed for this type of effort. This article is intended to help me and others find most of the reference information needed in one place. If you think something should be added, please add to this thread. To make it more manageable, the work was broken into categories, e.g. The remainder of this post groups information into these categories. Where it seemed appropriate, information is provide in bulleted lists with the intention of keeping information concise. Hardware specifications were created using my own experience and includes recommendations from a few online communities. Thanks to XDA Developers for extensive information on Google and Amazon (Android based) tablets. This required modifying our last requirement (Inset Screen) to allow for surface mount options, as there were no inset mounts that were reasonably (<$300) priced. With many of the hardware and software specs dependent on the tablet chosen, the tablet was selected first. Given our budget, tablet options were limited. In the end we chose a Fire HD 8 due to manufacturer and user community support, size, mount availability, the platform/OS supports necessary software, and price point ($50). Progress pictures are included below. Installation of the recessed outlet was the most time consuming part of the installation (it took a little over an hour). After cleanup and paint, the VidaBox mounting took less than 15 minutes. First a quick caveat: There are many reasonably good smart home controllers available in the marketplace today. Because of my experiences (I’ve been involved in multiple smart home installations using various platforms over 20 years) and my biases (I prefer ‘open’ systems with standards-based gear and highly active communities of practice, along with low cost of entry), for this project I chose a SmartThings controller using WebCore as the ‘rules engine’. Although this shouldn’t affect the hardware choices previously described, it definitely affects software selection. Software specifications were created using my own experience and recommendations from several online communities. A special thanks to SmartThings and WebCore forum members for their extensive articles and (very active) support. Their insights and examples saved countless hours on this project. All the SmartApps were loaded through the SmartThings online management app. Several articles are available online that explain how to setup and load these apps. Simulated Contact Sensor, created to support the SHM Delay solution. See specific instructions SHM Delay and Creating a virtual Device. Armed (AWAY): Sets Smart Home Monitor to Armed (Away). We included turning off lights, locking doors, etc. Armed (HOME): Sets Smart Home Monitor to Armed (Home). We included locking doors, etc. These ActionTiles Shortcuts were created to expose apps through the ActionTiles interface as tile selections. You can use the ‘Absolute URL’ from the screenshots to reference Sonos or SmartThings on your local network. Due to the number of components and interactions, bug fixing all the software took a few days. Most fixes centered around idiosyncrasies of Fire OS. Most issues were centered around the audio components (LANnouncer and Big Talk), and getting the entry/exit routines working properly in SHM. Work continues on the Dashboard Project, but the first deployment is complete and working reasonably well. We’ve already ‘tweaked’ a few things: I’ll update this thread as more is learned/added. Very cool write up. Looks great! I just finished 6 of these in my home. Looks cool but so far, nobody is using them outside of me. That’s ok though, they’ll come around sooner than later! @ittnerpm nicely put together…It looks great…Great informative write up and nicely broken out. Awesome write up… gave me a whole lot of information. I was in the process of planning my setup. Have the tablet now done and going to start working on mounting it. Very detailed writeup - thanks for putting in so much info! I’m building out my HA setup for a new house, and I’ve also had experience with pro automation systems but haven’t been impressed with the UI for such expensive systems (Control4 is top notch, but so is their price - and out of my budget). I’ve chosen to go more with an OEM approach - unbranded POE touchscreens designed for wall mounting (the 7" one I’ve found is almost identical to the ones used by HAI / Leviton) and very sleek. Using POE to power the tablet in combination with hardwired LAN simplifies installation and reduces lag/occasional WiFi issues, though the tablets can alternatively use the included DC power supply and Wifi for retrofit. I’m still sourcing a 11" touchscreen, but it looks like a decent one should be available later this month. I’m fairly confident in the longetivity of the web-based providers you’ve mentioned, and there’s also some pretty strong fallback solutions available should anything fall through down the road (OpenHAB, HASS, CQC) that could utilize all the same hardware. I like the balance SmartThings provides between cloud and local based. What kind of dimmers are those? I’ve got a handful of leviton, but those looks way more slick. I recently added DakBoard as a screensaver from within Fully Kisok, and is pretty configurable within itself - transitions nicely back to AT when using motion detection to wake up the panel when you approach it. Thanks Ron. I can relate to your being the ‘technical evangelist’ in your family. Thanks for the feedback Graham. I’m really interested in using POE, but have not researched yet… Do you have some recommended configs/equipment? Great informative write up and nicely broken out. Thanks Darren. Appreciate the feedback! I was in the process of planning my setup. Have the tablet now done and going to start working on mounting it. Thanks GavinCampbell. Would you share a photo and any words of wisdom when it’s done? 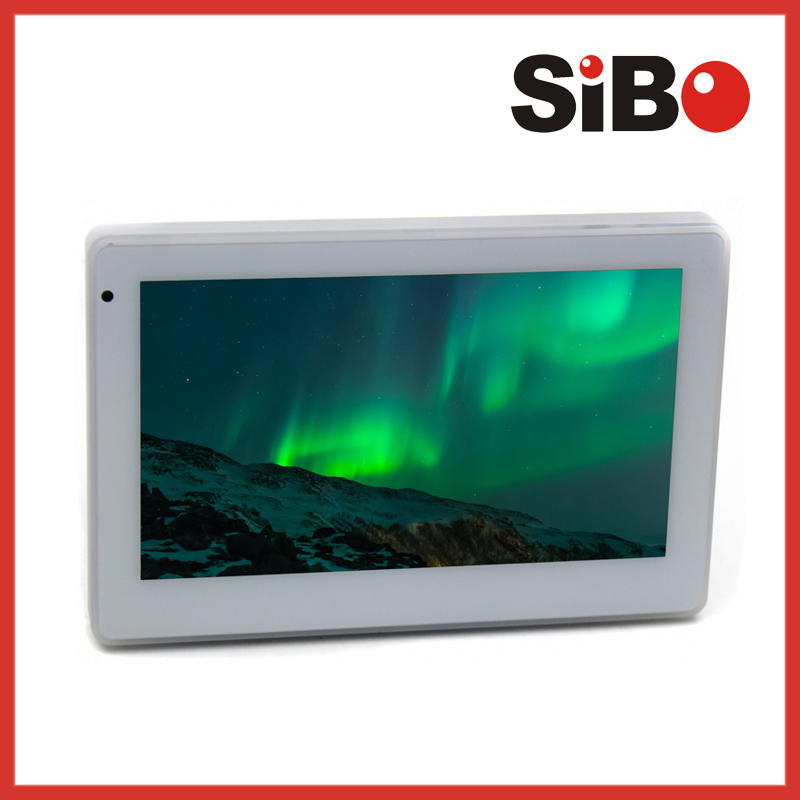 I’ve got a Sibo Q896s touchscreen and seems to be working really nicely so far with all I’ve thrown at it. I’m planning on having about 5 of them, and one 11" touchscreen for the kitchen. Definitely think I’m going to use a few of these! Hehe, I see your weather API is down too - glad it’s not just me! Looks like something’s wrong at WU, their site’s giving me errors all over. I am due to release the development version as Big Talker 2.0 soon. The thread for that is here. It moves to a Parent/Child app structure which allows for more granular control, removes some limitations and addresses some bugs that exist in 1.1.12 and earlier. It’s been out for quite a while and lately, I believe I have only received feedback regarding feature requests and not bug reports. I just need to document the install, configuration process, new variables, etc which is kind of my hold back to final release (among a few easy feature requests). Can you help me with this? I am trying to setup my Fire 8 with Fully Kiosk Browser and Dakboard as the screensaver and to go into Action Tiles when there is motion. I am getting stuck on the setup in Fully. And how do I get it to display the Action Tiles when it comes out of Fully? nicely back to AT when using motion detection to wake up the panel when you approach it. In [Motion Detection (PLUS)} set [Enable Motion Detection] to ON, set [Turn Screen On on Motion] to ON. There are several other settings I recommend, but these should get you started. Has anyone considered using a Raspberry Pi and associated screen for the dashboard? I am guessing they are trying to keep the client end easier - The rpi will introduce a whole set of complexities you do not want in a consumer end system. You should be able to set it and forget it. Also, costs. The rpi would probably be about $120 per end point. The tablet solution is $50. Consider you deploy 7 of them over the house. This YouTube Video (Parts 1 & 2) were helpful to me.